Lest you get to thinking that the North American folks are the only ones crafting collabs with Saucony, Anteater has a version of the Saucony Jazz Original coming. It’s not their first, but if you’re not familiar with that Russian label then this collab is just as good an introduction as any. 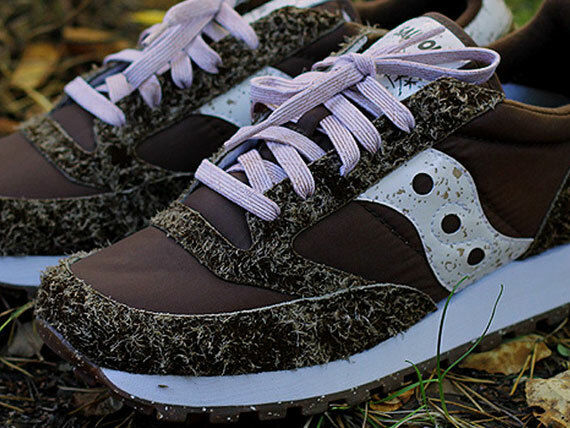 The Saucony silo dons some earthy tones across the upper together with that they’re calling “snow suede”, which gets almost hairy with its texture. Continue reading for the whole preview and keep in mind that just 240 pairs will be released (Hopefully some of them will make the journey out to the US).